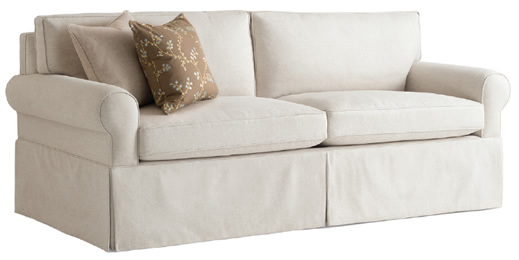 Carlyle is known for uniquely comfortable sofa beds and sectional sofa beds. Albert de Matteo, our company founder, invented the Steelweave™ mechanism, and it enabled him to create a comfortable, long-lasting sleeper sofa. Al found that steel, not plastic and fabric, was the best material to use to produce a sofa bed of the highest quality. Have you ever experienced that uncomfortable bar in the middle of the sofa bed? You didn’t like it and neither did Al. He designed the pull out couch bed mechanism to have three lateral supports and got rid of the bothersome middle bar. Then, he attached the incredibly sturdy Steelweave mechanism to a steel frame. That’s why you can sit on any part of our sofa bed and not feel thrown off balance. This is perfect for breakfast in bed or sitting on the edge to tie your shoes. Once the Steelweave™ mechanism was created and our sofa beds were perfected, we wondered what else could we do to create a restful sleep? The answer: offer a wide range of exceptionally comfortable mattresses. Today you can choose from four different mattresses: Deluxe, Comforcool™, Memory Flex™, and the 11" Airlux. They range in firmness and thickness. No matter which one you select, you can be confident your guest will have a good night’s sleep because each mattress is designed to optimize the comfort of sleeping on a Carlyle sofa bed.